It is with very deep regret that the Ministry of Defence can confirm the deaths of ten UK Service personnel following the loss of an RAF C-130K Hercules aircraft over Iraq on 30 January 2005. An RAF C-130K Hercules crashed 30 kilometres north-west of Baghdad on Sunday 30 January 2005 at approximately 1635hrs local time. The aircraft was on a flight between Baghdad International Airport and Balad airbase. 10 UK Service personnel are missing believed killed; 9 from the Royal Air Force and 1 from the Army. Their repatriation to RAF Lyneham commenced on the afternoon of Monday 7 February 2005, being flown out from Basrah with full honours. It is with great regret that I can confirm that nine Royal Air Force personnel and one soldier are missing believed killed in yesterday’s crash of an RAF C-130 Hercules in Iraq. On behalf of the Ministry of Defence and all the armed forces, I should like to extend my deepest sympathies to the families of these servicemen. The aircraft was on a flight between Baghdad International Airport and Balad airbase when it crashed. UK and US forces have secured the crash site, and are now recovering the bodies, and attempting to ascertain the cause of the crash. We are aware of reports that the aircraft may have been shot down, but we are not in a position to come to any conclusions until the investigation is complete. The deaths of these servicemen are especially poignant on a day when Iraqis were able to enjoy the freedom of democratic elections for the first time in many years. I can only echo the sentiment of the Prime Minister in recognising the sacrifice of these Servicemen. Her Royal Highness The Princess Royal, who is the Honorary Air Commodore of RAF Lyneham, paid a private visit to the station on 1 February to express her condolences to members of 47 Squadron and the Engineering Wing, and speak with personnel who are providing support to the bereaved families. 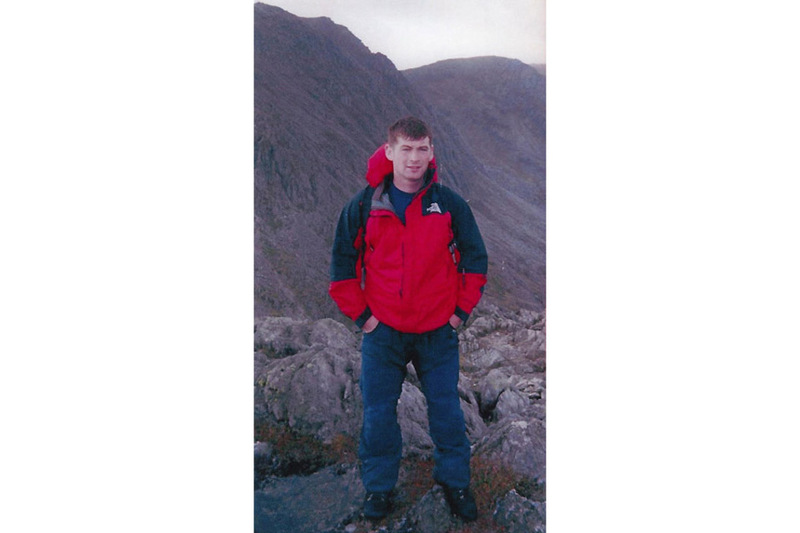 Aged 39 and divorced, he was a staff officer serving with Headquarters Strike Command, High Wycombe, and was on temporary detachment to Iraq as a liaison officer. 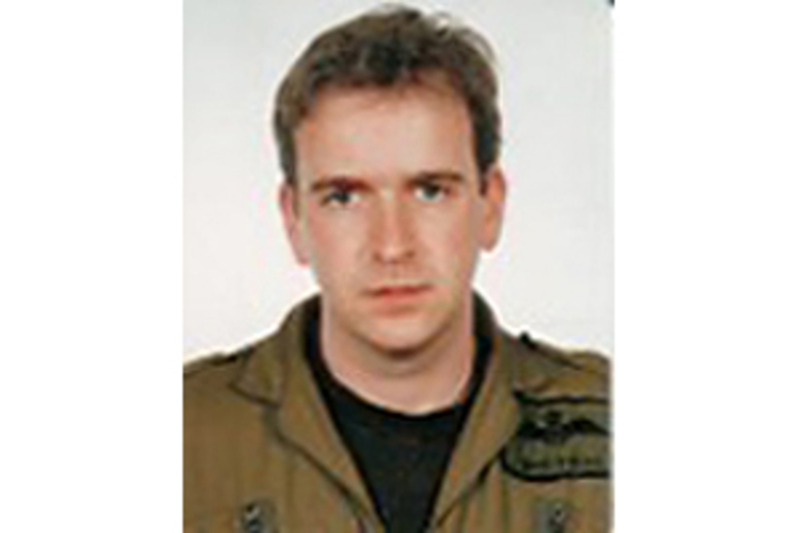 Patrick joined the Royal Air Force in June 1990 as a pilot, serving 11 operational tours on the Tornado GR. He was awarded a General Service Medal for air operations in Iraq, an Operational Service Medal for Operation Telic and the NATO Medal for operations in the former Yugoslavia. His last job was as a Staff Officer at Headquarters Strike Command, Royal Air Force High Wycombe, where he was part of a team responsible for coordinating Royal Air Force support operations. Although he thoroughly enjoyed his staff tours, he was eagerly looking forward to returning to his greatest passion: flying. He was a highly regarded and talented operational pilot. During his time at Royal Air Force High Wycombe he lived in the local area and had recently announced that he was engaged to be married. Patrick was a well liked and spirited officer with many friends throughout the headquarters and the wider military community. He will be sorely missed by all those that knew him. Aged 35 and married, he was a pilot serving with 47 Squadron based at RAF Lyneham. 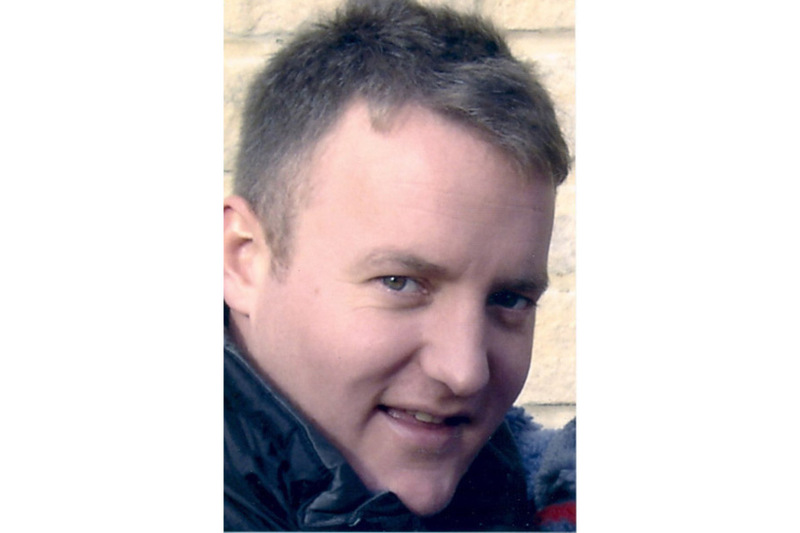 David ‘Steady’ Stead (pronounced “Sted”, not “Steed”) was born on 15 October 1969 and brought up in West Yorkshire. In his youth he was a keen fell runner. After a short spell with a quantity surveying practice, he was commissioned as an RAF officer on 2 August 1990 and was posted to RAF Linton-on-Ouse where he commenced flying training. He was awarded his pilot’s wings in 1993 and joined the Hercules fleet in 1995. 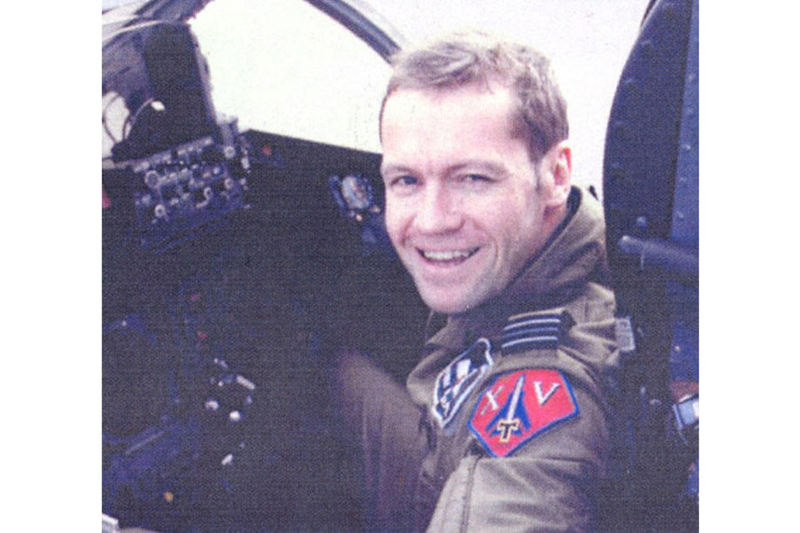 He completed his co-pilot’s tour on 47 Sqn and rejoined the Sqn as a captain on 18 December 1999. He amassed some 4,100 hours in the air, with 3,800 on the Hercules, and was recognised as being one of the most capable captains within the Hercules fleet. It is often said by his fellow aviators that he was, “Steady by name and steady by nature”. Steady had been involved in operations around the globe with the Hercules fleet in Afghanistan and Iraq. Crews always showed a depth of trust and confidence in his captaincy that motivated them to give their all. This ability was never better demonstrated that during the evacuation of a number of seriously injured combat casualties, including children, in Afghanistan. This mission was conducted in appalling flying conditions where no other fixed wing aircraft would fly. On this occasion his exceptional skill, judgement and physical bravery was directly responsible for saving lives. He was a typically straight-talking Yorkshireman with a devilish sense of humour and a fine wit, who always insisted on his cup of Yorkshire tea to start the day. Married to Michelle, who he met at a wedding, he was delighted to discover that she was a local Yorkshire lass. They have two daughters, Holly and Amelia. Steady was a wonderful father, husband and aviator and he will be missed by all. A pilot serving with 47 Squadron, based at RAF Lyneham, he was a single man aged 25. Andrew ‘Smudge’ Smith was born on 1 July 1979 in Doncaster and educated at Matthew Humberstone School, Cleethorpes. 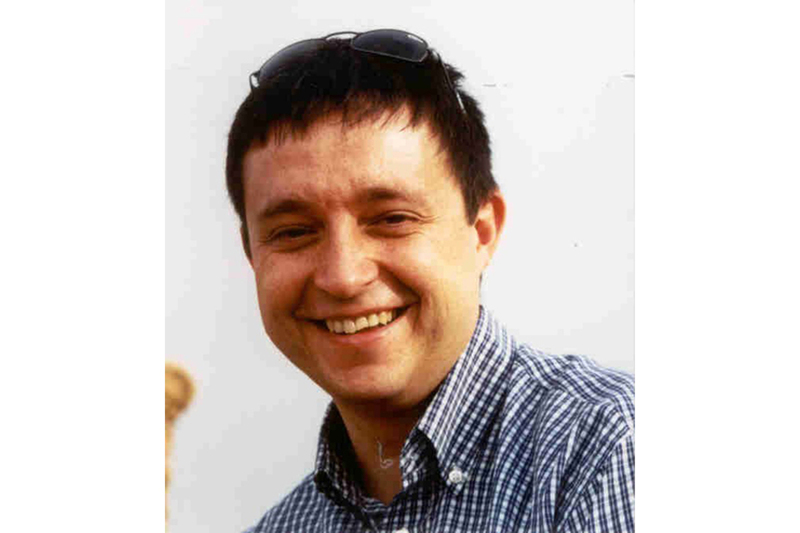 Andrew then read Environmental management at Lancaster University, where he gained a BSc (Hons). 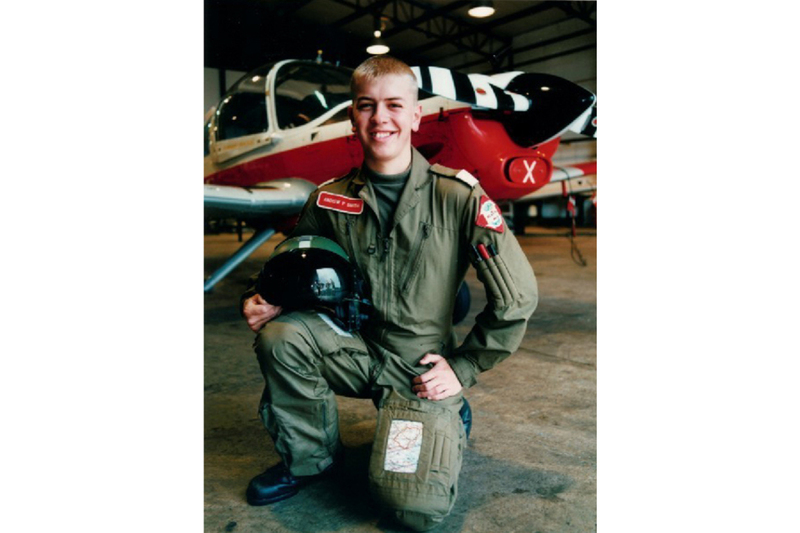 He joined Liverpool University Air Squadron at RAF Woodvale on 6 December 1997, where he commenced his elementary flying training. He was commissioned as an RAF officer on 6 August 2000 and was posted to RAF Linton-on-Ouse where he continued his flying training. He was awarded his pilot’s wings in 2002 and joined the Hercules fleet on 29 August 2003. Smudge was posted to LXX Sqn on 15 January 2004 as a squadron co-pilot, then to 47 Sqn on 15 November 2004. He had 685 flying hours, 105 of which were on the Hercules. Although Smudger was in the advent of his flying career, he brought a great deal of enthusiasm and humour to the crews he flew with. Smudge was on his first operational detachment; however, he had recently given one of the best ever performances on the tactical air transport course. When he wasn’t flying Smudger could be found either riding, polishing or talking about one of his performance motorbikes. He was a keen Valentino Rossi fan and was often seen trying to emulate his hero on track race days. He was an active Officers’ Mess member who keenly supported all social functions and his colourful character was reflected in his array of fancy dress costumes. Popular amongst his peers, his one-liners and witty comebacks will be sorely missed by all. An Australian, aged 35 and married, he was a navigator with 47 Squadron at RAF Lyneham. Paul ‘Pards’ ‘Paulie’ Pardoel was born in Melbourne, Australia, on 15 June 1969 and spent his youth growing up in the Australian city of Ballarat. He joined the Australian Defence Force Academy in Canberra in 1988 and graduated three years later with a Bachelor of Science degree. He completed Navigator training with the Royal Australian Air Force the following year and was posted to 36 Squadron flying Hercules aircraft in Richmond, outside Sydney. He served with distinction, flying operational aircraft around the world for seven years. In 1999 he moved to Sale in Victoria where he instructed at the School of Air Navigation, training future navigators for the Australian and New Zealand Defence Forces. In this role Pards was renowned as an exceptional instructor for his ability to impart knowledge whilst maintaining a relaxed environment for his students. After 14 enjoyable and rewarding years with the Royal Australian Air Force Pards was ready for a new challenge. He transferred to the Royal Air Force in 2002, and was posted to 47 Squadron, RAF Lyneham, again flying C-130 Hercules aircraft. He was a valuable member of the Squadron who served in all aspects of squadron operations, including active duty in both Afghanistan and Iraq. For these operations he was awarded Operational Service medals. Renowned amongst his friends and colleagues as an unflappable individual, Paul could never be fazed. He enjoyed the banter of being the only Australian in the Squadron, and remained a good sport, despite a Rugby World Cup final loss. All of this was secondary to Paul’s first passion, his family. He met his wife and soul mate Kellie at an RAAF Summer Ball and they married in November 1995. Their first daughter Jordie was born two years later, and Jackson followed in 1999. Little India joined the family almost a year after moving to the UK. With their warmth and good humour, Paul and Kellie always settled easily into any new environment. RAF Lyneham was no exception, where the Pardoels lived in joy and happy chaos. Paul’s love and dedication to his family was obvious to all who were fortunate enough to know them. He had the relaxed easy grace of someone who knew what was important in life, and what wasn’t worth worrying about. There is no doubt that Kellie and their children were the centre of his world. 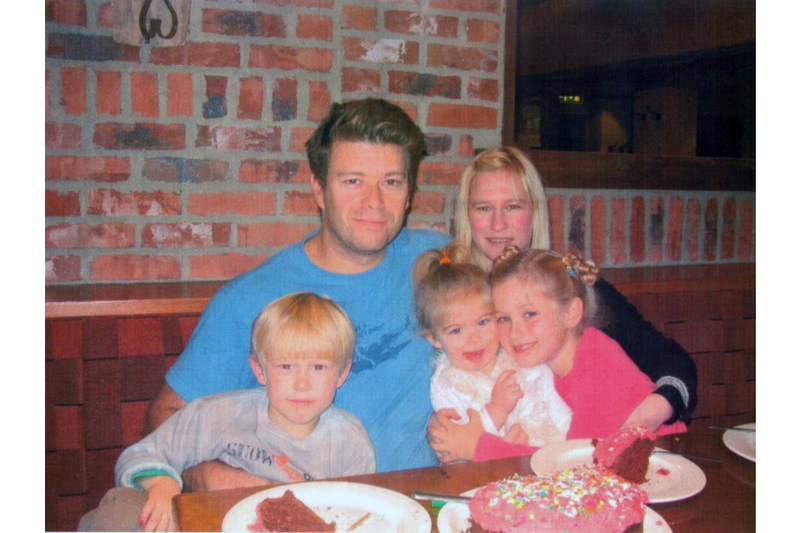 Between them, Paul and Kellie created a wonderful family. Pards’ philosophy for life was reflected in his approach to fatherhood, where he was very much a ‘hands on’ and active Dad. His endless patience and gentle encouragement was a direct result of the pure joy he got from Jordie, Jackson and India. We will always miss his smile. Aged 42 and divorced, he was an Air engineer serving with 47 Squadron at RAF Lyneham. Gary Nicholson ‘Gary Nic’ was born in Hull on 12 March 1962. He joined the RAF on 13 April 1982 and undertook training as an Air engineer at RAF Finningley on 15 September 1982. He was awarded his Air engineer brevet on 15 August 1983 and was posted to RAF Lyneham to join the Hercules fleet. Gary started his long and distinguished career on the Hercules on 47 Sqn on 14 April 1984. He was then posted to 24 Sqn in July 1987 followed by a return to 47 Sqn on 2 July 1990. Gary then became an instructor in the simulator on 12 October 1994 and again returned to 47 Sqn for the third time in September 2002. During his flying career Gary amassed a total of 6400 hours, the vast majority of which was on the Hercules. An avionics specialist, aged 40 and divorced, he served with the Engineering Wing at RAF Lyneham, the home-base for all RAF Hercules. 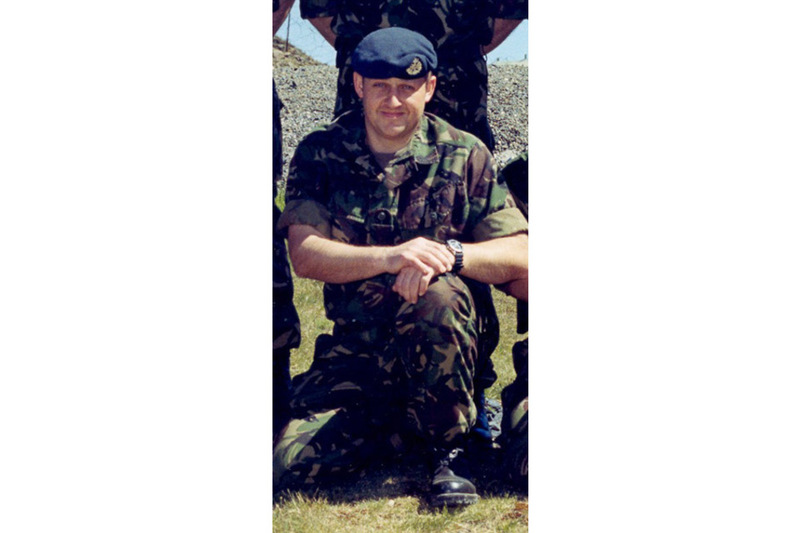 Richard Brown joined the Royal Air Force in 1983, and has served two tours of duty at RAF Lyneham, beginning his second tour in 1998. Richie, as everyone called him, was a keen and active sportsman who was always extremely enthusiastic and committed in everything he did. He was totally dedicated and professional in his approach to all his duties, and was always willing and eager to help others. Indeed, he worked ceaselessly for charity and in 1998 was awarded an 11 Group Commendation for his charity work during his time at RAF Kinloss. He was highly thought of and will be sadly missed by all those who served alongside him, particularly the small section of engineers who worked closely with him. An Air loadmaster, aged 34 and married, he served with 47 Squadron based at RAF Lyneham. Mark ‘Gibbo’ Gibson was born on 19 March 1970 in York. He joined the RAF aged 17 on 6 October 1987 and undertook training as an Air loadmaster on 15 April 1988. He was awarded his Air loadmaster brevet on 3 February 1989, and was posted directly to RAF Lyneham to join the Hercules fleet. Gibbo started his career on the Hercules with 24 Sqn in July 1989. An early above-average flying category saw him posted to an instructor’s tour with 57 Sqn in May 1993, then to 47 Squadron in January 1996. 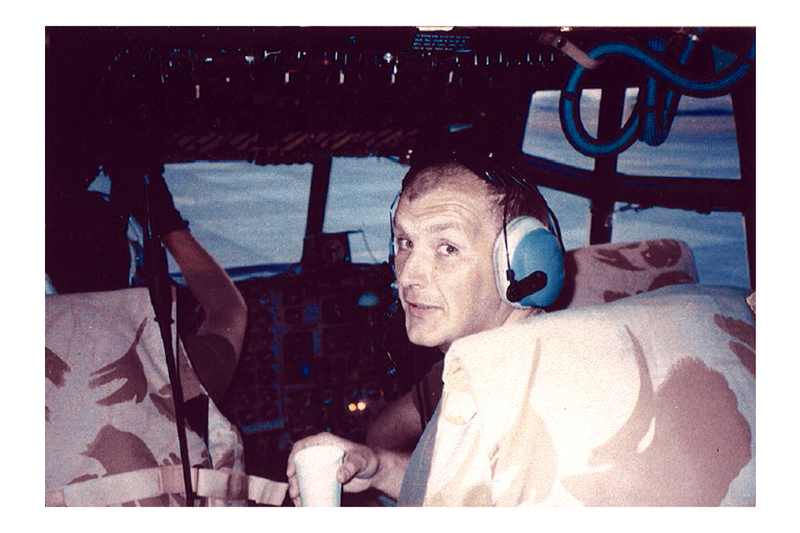 Mark accrued more than 7,300 flying hours, the vast majority of which were on the Hercules. Gibbo saw action in many theatres and was awarded Operational Service Medals for Sierra Leone, Afghanistan and Iraq. Gibbo was known and loved by all who worked with him and he was known to be a bandit on the golf course, regularly playing ten below his handicap. He was requested by name by those he worked with and was renowned for his entertainments, such as the music he played to parachutists as they jumped out. In short he was one of life’s entertainers, a true character a real giver - never a taker. Mark married the love of his life, Sheila, on 24 October 1992. Their daughter Poppy was born on 28 November 1997 and he took great delight that she had already started her golf lessons. Mark was a great husband and father and he will be sorely missed. Aged 38 and single, he was an Engineering technician serving with the Engineering Wing at RAF Lyneham, the home-base for all RAF Hercules. Bob O’Connor joined the Royal Air Force as an apprentice in October 1985. On completion of his apprenticeship, he was posted to RAF Lyneham, where he spent the vast majority of his Service career, excepting a short tour at nearby RAF Brize Norton. He was held in the highest esteem and regard by his work colleagues and superiors for his knowledge, dedication and professionalism. During his tours, he was an active sportsman and a keen participant in all aspects of the fabric of station life. He will be sadly missed by his loved ones, colleagues and friends, particularly the small section of engineers who worked closely with him. All our thoughts are with his family and loved ones at the time. Aged 37, he was a Survival equipment fitter serving with the Engineering Wing at RAF Lyneham, the home-base for all RAF Hercules. Married with three young children, Dave Williams was a devoted husband and proud father. Colleagues remember him as a happy-go-lucky character, with a mischievous personality and a dry sense of humour; forever joking, making light of any conditions in any location. 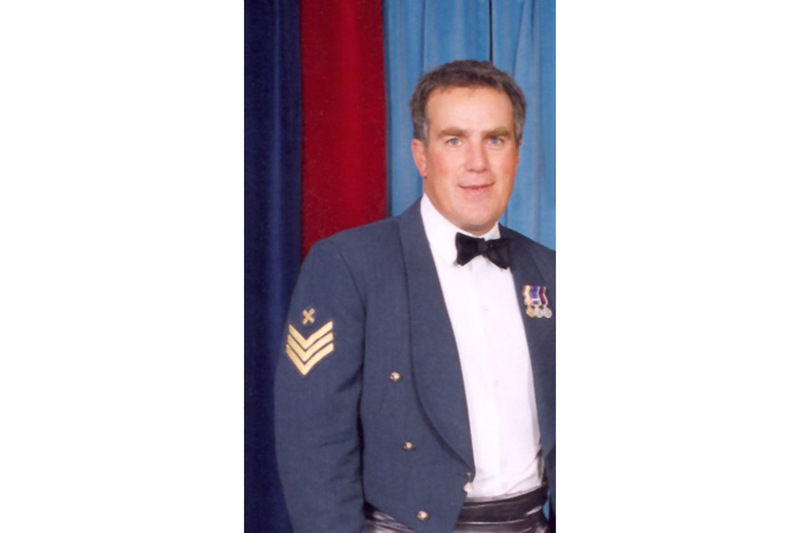 A member of the Royal Air Force for 17 years, he had amassed a wealth of knowledge and was a totally dedicated individual who epitomised professionalism. Aged 25 and single, he served with the Royal Signals and came from Fareham. Steve worked hard, played hard and lived life to the max whether it be skydiving or bungee jumping. Words will never be able to express the loss that we feel today. He was always adventurous, fun loving and had a wicked sense of humour. Steve will forever be in the hearts of those that knew him best. The family would like to request that they and his friends are allowed to grieve together in peace. The family have specifically requested that the media do not approach them.